Susan talks with author, poet and grief counselor Mirabai Starr, who uses poetic and passionate language to make the timeless wisdom of the mystics accessible to us in our modern day life. Together they discuss inter-spirituality, the gathering of wisdom, the transformation of loss and more! Mirabai Starr writes creative non-fiction and contemporary translations of sacred literature. She taught Philosophy and World Religions at the University of New Mexico-Taos for 20 years and now teaches and speaks internationally on contemplative practice and inter-spiritual dialog. A certified bereavement counselor, Mirabai helps mourners harness the transformational power of loss. She has received critical acclaim for her revolutionary new translations of the mystics, John of the Cross, Teresa of Avila and Julian of Norwich. She is the award-winning author of God of Love: A Guide to the Heart of Judaism, Christianity and Islam, Caravan of No Despair: A Memoir of Loss and Transformation, and Mother of God Similar to Fire, a collaboration with iconographer, William Hart McNichols. Her latest book, Wild Mercy: Living the Fierce & Tender Wisdom of the Women Mystics, is forthcoming Spring 2019. She lives with her extended family in the mountains of northern New Mexico. Facebook, Instagram, or on Twitter @MirabaiStarr! 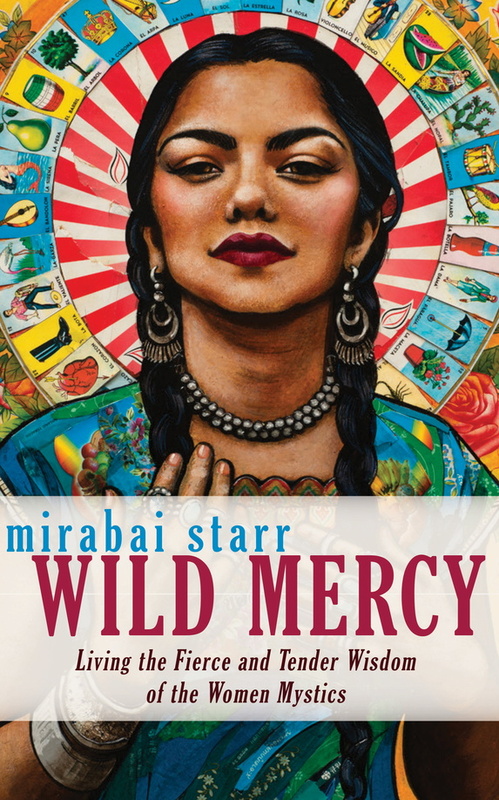 Check out her latest book: Wild Mercy: Living the Fierce Tender Wisdom of the Women Mystics here! Teodora Pavkovich is an international traveler and a voracious learner. She is a person who strives to build community wherever she goes through connection, healing, teaching, and being 100% present. Currently her work is centered around the world of parents and children, and how they can thrive in this modern world of technology. 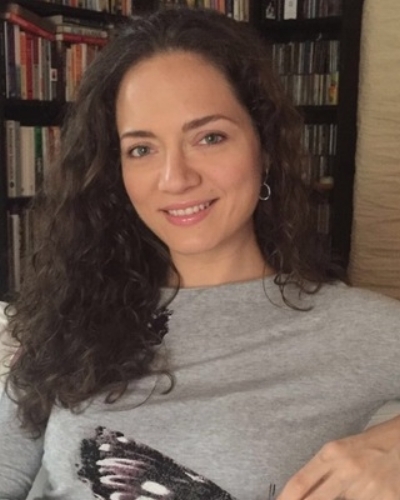 Teodora Pavkovic is a New York-Singapore-based psychologist and parenting coach with over a decade of international experience helping both children and adults improve their emotional and mental well-being. Her unique approach draws from the fields of Cognitive Behavioral Therapy (CBT), emotional intelligence, positive neuroplasticity,interpersonal neurobiology, attachment theory as well as Strategic Intervention Coaching, and she uses research-based tools to help her clients lead fulfilling and intentional lives. Teodora’s mission is to ensure that children have available at least one parent or guardian who can satisfy their needs for safety, connection, attention and encouragement - the pillars of healthy child development. Parenting is the ultimate challenge a person can face, but parenting in the age of technology is a whole other endeavor! Visit Teodora’s website for more information! “We are all teachers and students of this classroom of life” says Linda Glick, a singer and voice coach who resonates and emanates love in all that she does. Listen in to her and Susan as they discuss the power and vulnerability of singing and the grace of learning through love. 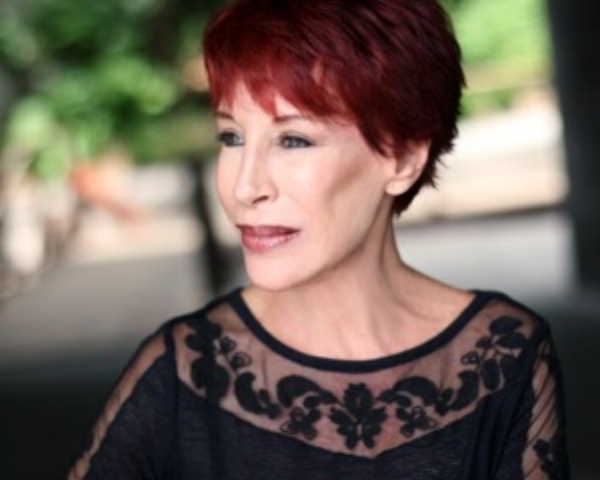 LINDA GLICK is a NYC born and bred actress and singer, with extensive credits in TV, Film and Theatre. Recent TV and Film favorites: “The Incredible Jessica James”, (Sundance, Netflix), Dir. Jim Strouse, “Too Big To Fail”, HBO (Nancy Pelosi) Dir. Curtis Hanson, “W.E.”, Dir. Madonna. Theatre roles include: two Regional productions of “Funny Girl” (Mrs. Brice), Hannah (Spitfire Grill), NYC, FringeNYC, “The Lyons” (Rita Lyons) NYC. Born and raised an only child in Forest Hills, Queens, Linda had 2 wishes: to get a pony up to her 6th floor apt and to become an actress and singer. She was accepted and trained at Julliard Prep School when she was in Junior High School, chaperoned there and back by her father. She had the leads in school and camp productions, notably as Sarah in “Guys and Dolls” and then, a few years later, as Adelaide. She auditioned and was invited to join the Sonneteers, an a capella group at Skidmore College, but chose to return to NYC and complete her studies at Columbia University (B.A., M.S.). Her parents were old school and somewhat less than supportive of a career in Show Business. Linda taught French and Spanish in NYC, while singing at night in the small supper clubs and night spots, where she built up a large and loyal following. Her acts always included songs in French and Spanish. Her break came from two European fans, who backed her and off she went…first stop: Surinam, South America! Then on to Rainbow and Stars, followed by most of the top NYC supper clubs, including a solo show: KALEIDOSCOPE at Feinstein’s/ 54 Below (11/15), TEACH ME TONIGHT (Part 1 and 2) at Pangea Supper Club, NYC. She has appeared in One Woman shows and Concerts throughout the country and internationally, most recently at The Crazy Coqs; Live at Zedel in London, 8/18. The next step was a move into TV and Film appearances. Linda also coaches Voice and Vocal Production to actors, singers, dancers and those in the Corporate sector individually and in Workshops. She is the author of Online articles: “How to Preserve Your Voice” and “How to Deal with Stage Fright” and has added a new hat to wear: Cabaret Director (“Balancing Act: Susan Lambert, Don’t Tell Mama 2016). Linda is the quintessential Upper West Side New Yorker. The newest addition to her family: IZZY, an adorable mini Bernadoodle puppy from Ohio, cherished by all except FeeBee, the 15 year old presiding resident feline. Oh, and husband Len, a screenwriter. Proud member AEA, SAG-AFTRA. Women in Film and TV, FAB Women. Dr. Kimya N. Dennis is a prolific writer, college professor, community organiser, and a believer in interconnectedness and breaking down barriers. Her work combines the worlds of criminology and sociology, looking at cultural differences and encouraging a multidisciplinary approach for all doctors and mental health professionals where diversity is discussed every day instead of in workshops and seminars. She wants to shatter the myth in some communities that “only white people have mental health issues,” challenging our stereotypes, assumptions and beliefs about suicide, mental health and depression at every level - from the individual, all the way up to the organisations and institutions who are training the future health and wellness practitioners of tomorrow. 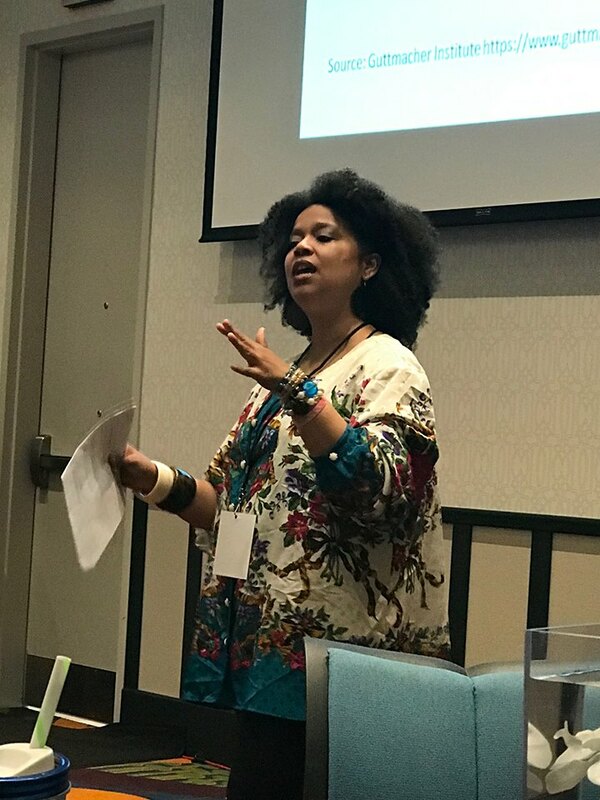 Dr. Kimya N. Dennis does interdisciplinary community outreach, consulting, teaching and research regarding mental health, suicide and suicidal self-harm, criminal justice processes and reproductive health and freedom. Dr. Dennis collaborates with community members and organizations. Collaborations include guest posts for Mental Health America of Virginia, interviews for various media outlets, board of directors for The Mental Health Association in Forsyth County and board of directors for Forsyth Futures, both in Winston-Salem, NC. Please visit her website www.kimyandennis.com for more information!